Do you ever find yourself dying for something to snack on but nothing sounds good? Or you find something, but you know it’s not good for you? Wishing you had something prepared to satisfy a craving that’s not just good for you, but hits the spot? 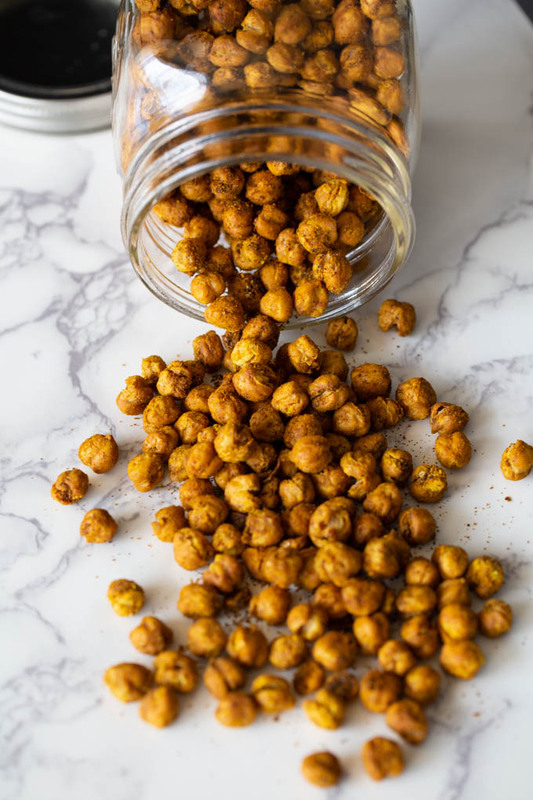 These Antioxidant Rich Crunchy Chickpeas (Garbanzo Beans) are guaranteed to do the trick. 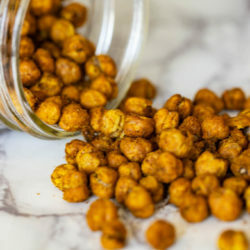 Chickpeas (Garbanzo Beans) have a delicious nutlike taste and a texture that is buttery, yet somewhat starchy and pasty. A very versatile legume, they are a noted ingredient in many Middle Eastern and Indian dishes such as hummus, falafels and curries. Chickpeas have a list of nutritional benefits that when paired with warming spices will sustain you for hours without feeling stuffed or swollen. In fact, I like to think of this version like popcorn that I can crunch on, and not feel awful afterwards. 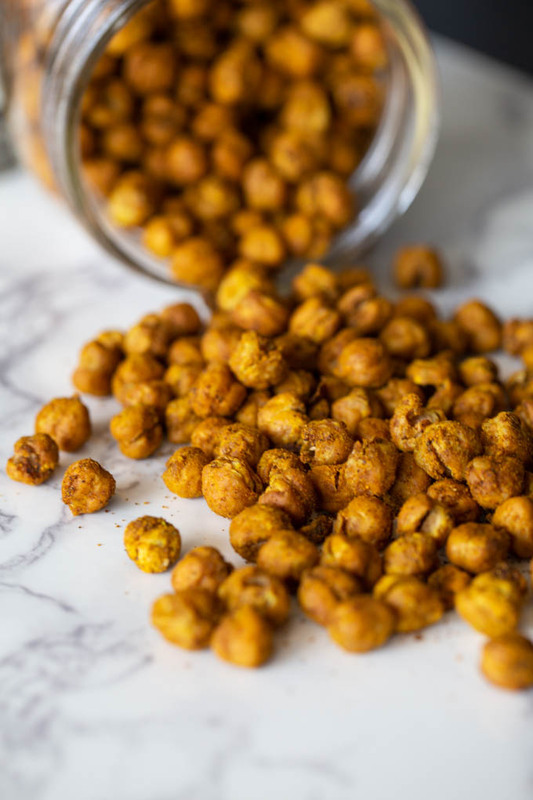 You can buy dried chickpeas to prepare this delicious treat, but for me I’m thrilled to purchase two 15 ounce cans that I rinse well, drain, and pat dry. Then I simply sprinkle on the spices I crave, and bake them in the oven until they’re nice and crunchy. 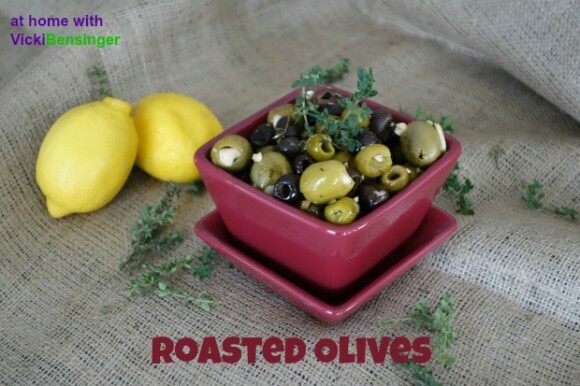 Perfect for parties, gift-giving, snack time, school lunches, sprinkled or chopped to garnish salads – they’re positively addicting and will have everyone asking you for the recipe. When you rinse the canned chickpeas lay them out on a paper towel to dry them off. You’ll notice an outer layer that looks like tissue release from them. Not to worry, just remove the loose outer layer prior to sprinkling with spices. Support your digestive tract – they’re high in protein and fiber with 2/3 of chickpeas being insoluble. With the insoluble fiber in chickpeas, our colon cells can stay optimally active and healthy. Healthier colon cell function means a lower risk of colon problems, including lower risk of colon cancer. Chickpeas contain a concentrated supply of antioxidant phytonutrients known to reduce the risk of heart disease. 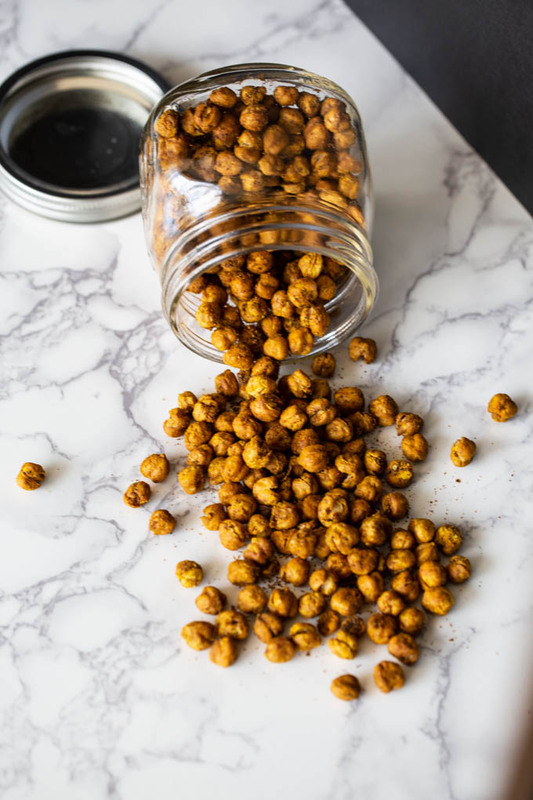 As little as 3/4 cup of chickpeas per day has been shown to lower our LDL-cholesterol, total cholesterol, and triglycerides in a one-month period of time. 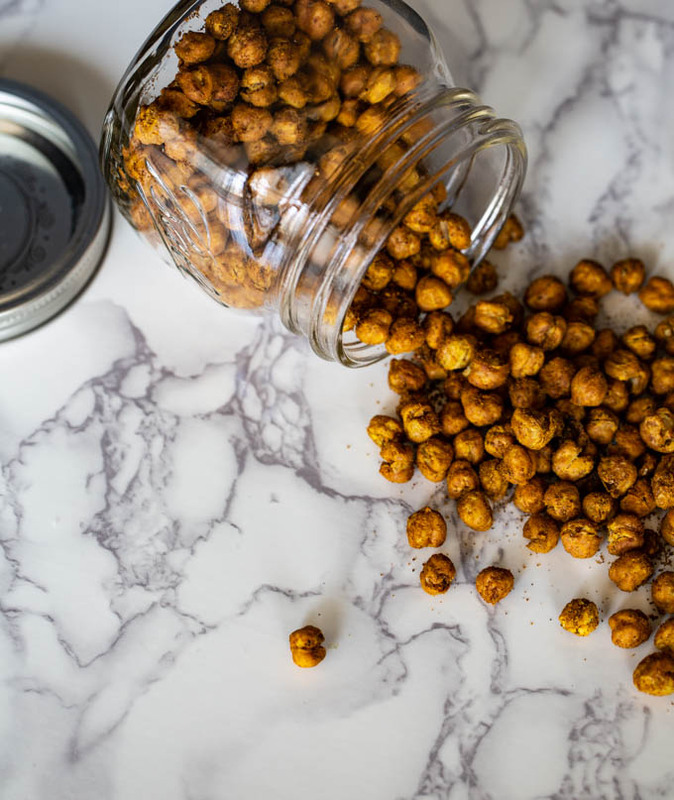 About one-third of the fiber in chickpeas is soluble fiber, and this type of fiber is the type most closely associated with support of heart health. For more detailed nutritional information on chickpeas check out The World’s Healthiest Foods. 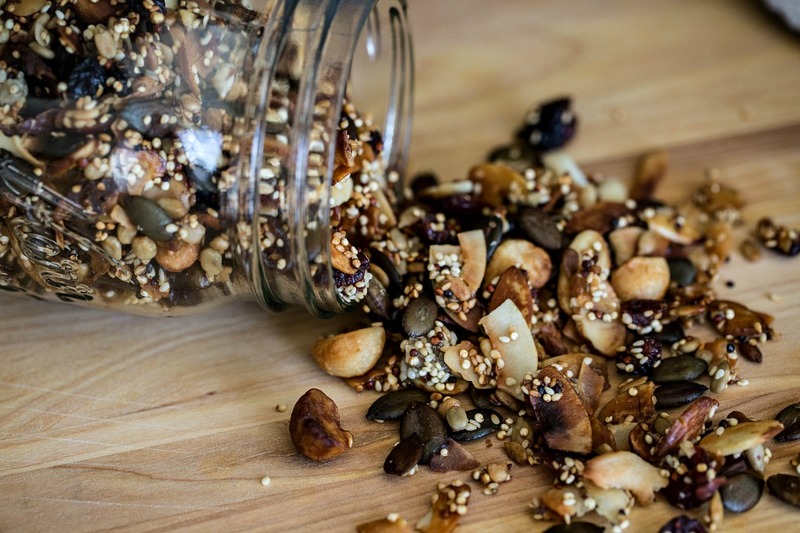 Since making this healthy and crunchy snack I find I can’t get enough of them. As soon as I see I’m running low, I make new batches, and store them once completely cooled, in a covered mason jar. 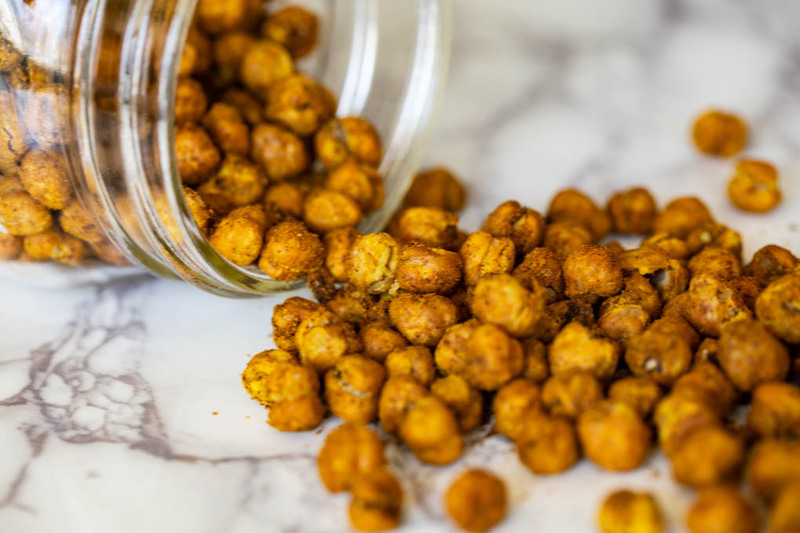 I am certain once you try these Antioxidant Rich Crunchy Chickpeas you’ll be creating this version or your own on a regular basis. 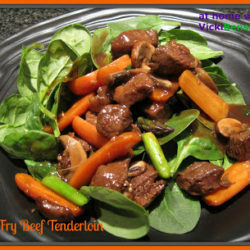 Try them, and please share your photos on Instagram with comments @vickibensinger and please share your comments here at vickibensinger.com. 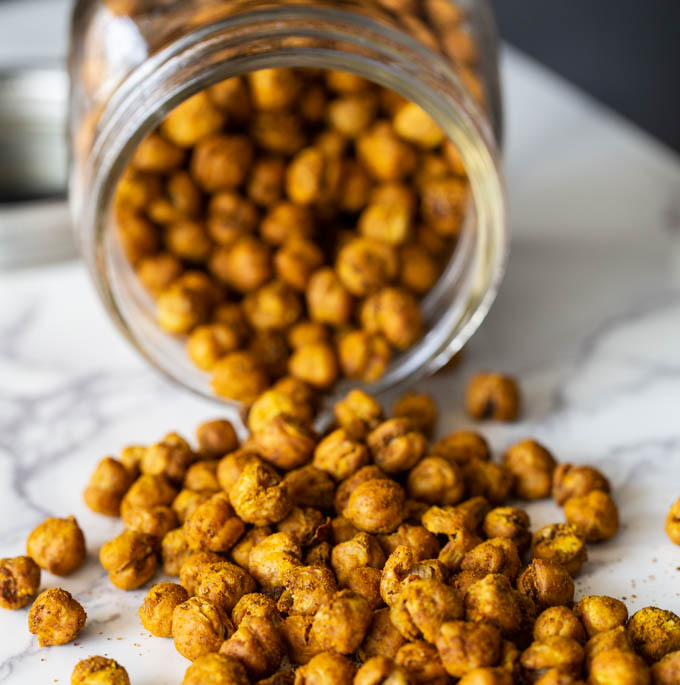 These Antioxidant Rich Crunchy Chickpeas are so addicting you won't be able to stop eating them! Be sure to rinse canned chickpeas in a mesh strainer. Set out on a paper towel then cover with another paper towel and dry, removing any loose skin. Line a baking sheet (large enough to hold the chickpeas in a single layer) with heavy duty foil, or parchment. Spread chickpeas out in a single layer on the sheet pan. Using your hands mix to coat evenly. Be sure chickpeas are in a single layer. Place in oven. Bake for 50 minutes, stirring midway through, then continue to bake until crisp. If desired: turn off oven and leave in for additional 20 minutes, for extra crispy. Alternatively: Bake in a convection oven at 350F degrees for 40 minutes (no need to stir). Turn oven off and allow to crisp for an additional 15-20 minutes. Remove from oven and allow to cool completely. 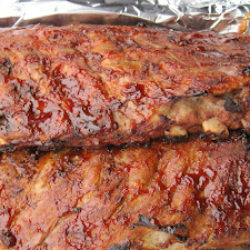 Serve immediately or store in an airtight container or mason jar. 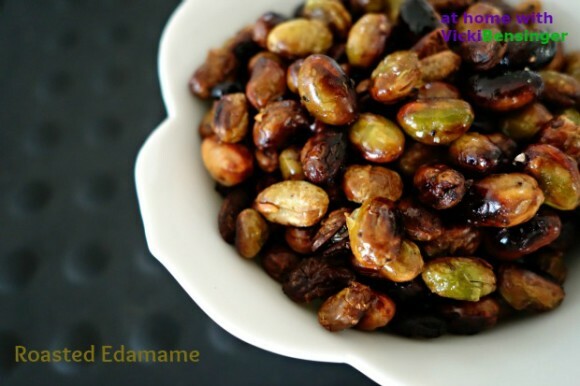 I’ve done this with edamame a number of times and have chickpeas in my pantry as I’ve been meaning to roast some of those, too! Your recipe is perfect and hope to make them soon! Roasting them makes such a difference, doesn’t it? Love spiced chickpeas! Roasting gives them such nice crunch, doesn’t it? Good recipe — thanks. They’re delicious and provide so many health benefits. It’s always nice to snack on something that actually helps the body rather than working against it. 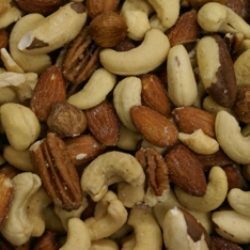 These are great as a snack or a salad topping! Love all the wonderful spices here. Same here and they’re so tasty and good for you. It’s a win win! 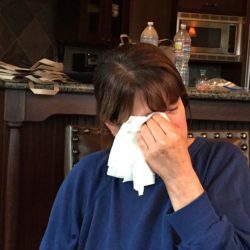 Oh Vicki, you just reminded me to make this roasted chickpeas…and I am loving all the spices you have in it…thanks for the inspiration. I hope you are having a wonderful weekend! I hope you enjoy them and I hope you have a wonderful weekend as well! They make a nice crispy topping on salad instead of croutons. thanks for the great information. it is a WONDERFUL POST. IT HELPS ME LOTS OF TIME.